How to administer an interview session in CodeSignal. Step 2. You’re almost ready to go! 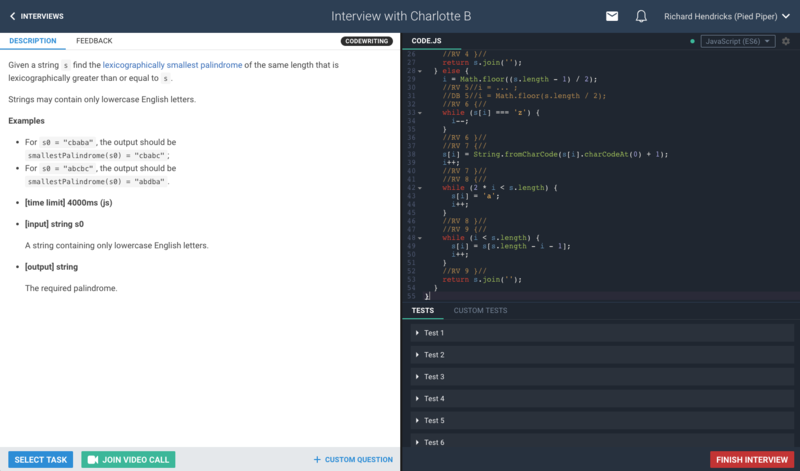 Wait for all participants to enter the interview session before you select a task. Step 3. (Optional) Click the JOIN VIDEO CALL button to start a video conference call with the interview participants. Step 4. 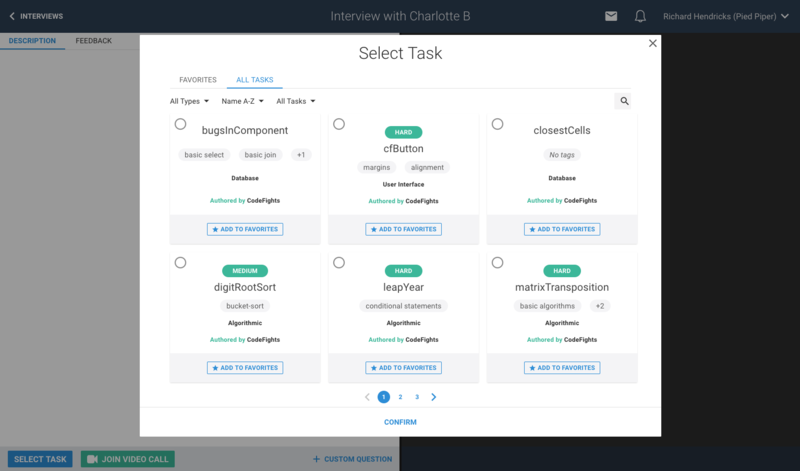 Once the candidate is ready to tackle a programming question, click the SELECT TASK button and pick a task of your choice. Step 5. 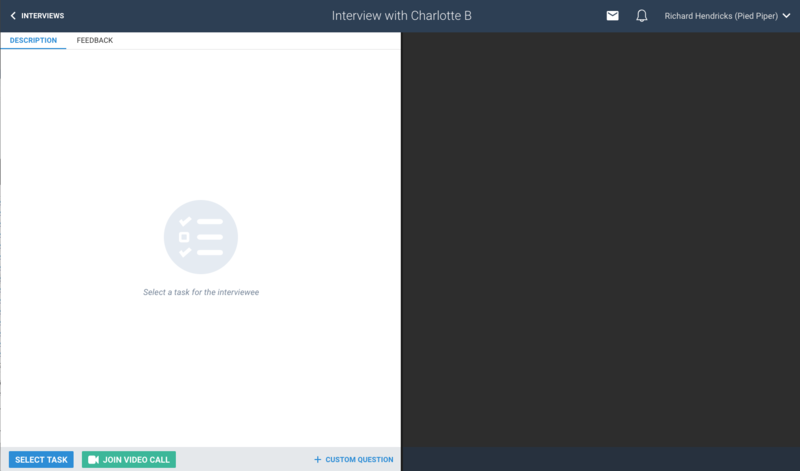 After the interview is over, click FINISH INTERVIEW to close the interview session. [OPTIONAL] Step 6. 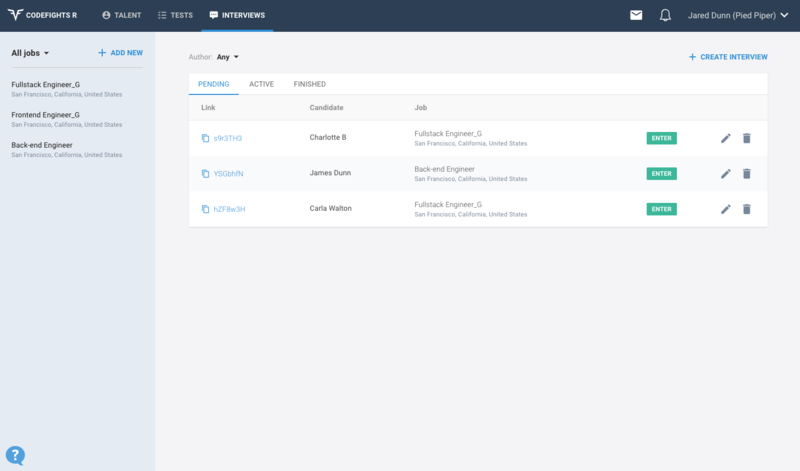 Depending on your company's recruiting process, you may have the ability to leave interview feedback in CodeSignal. 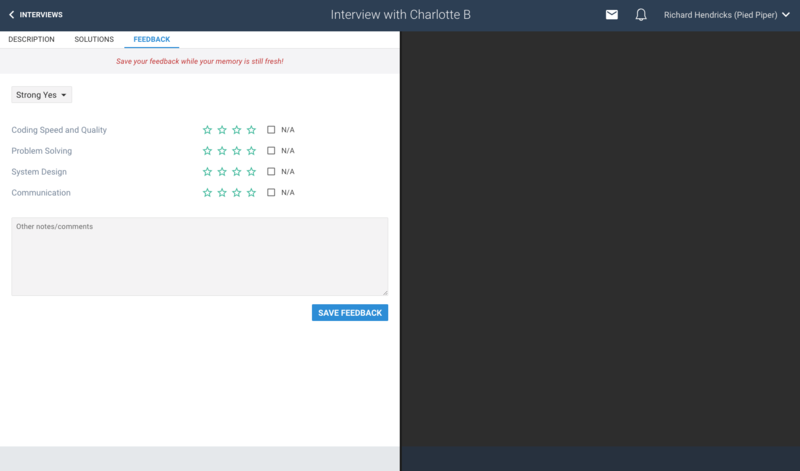 Rate the candidate and save your interview feedback in the Feedback tab. We find that it's best to do this right away, while your memory is still fresh!